Inktober is coming around the corner, so I thought I’d talk about my favorite pens and inks. First to be showcased is my go to pen. It’s what I use for drawing in ink. 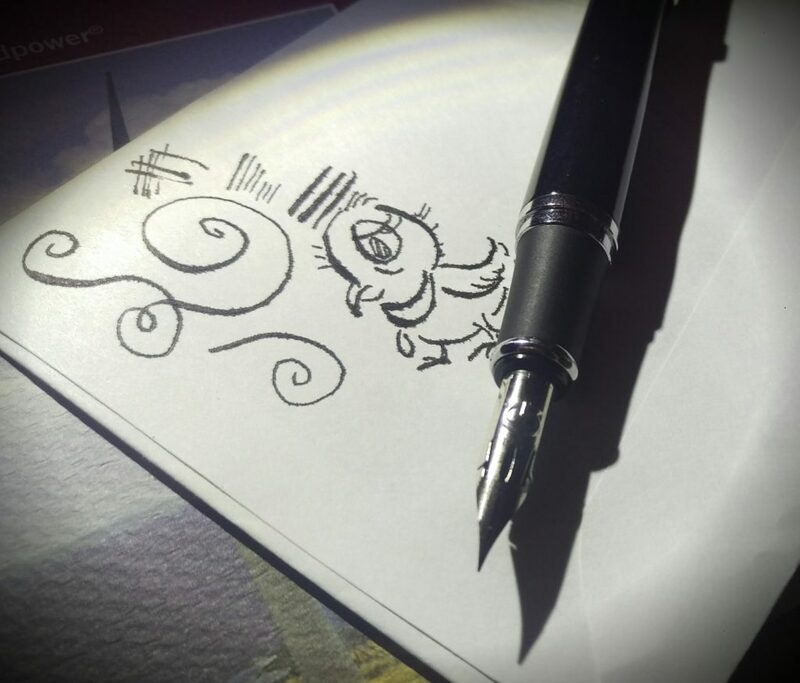 It’s a cheap frankenpen- jinhao 750(goes for ~$5 on eBay and if you don’t mind the wait- free shipping from China) outfitted with the classic manga zebra g nib. It’s a heavy solid pen. Heavy enough, where I don’t bother with posting. 1.If you’re too fast, you will railroad. 2.When it comes to posting, the pen caps can wobble and I find it too bulky and heavy. 4. It has a learning curve on how to jam the g nib into the pen. And it can be stubborn to come out. Sometimes you need pliers to pull it out and you have to be careful not to damage the ebonite feed. Which is why I’m switching to the titanium version of the nib so I have to change it less often. 5. While you may only have to watch out for the cat during filling time, instead of all the time with an open bottle of ink and a dip pen, you will soon discover that your cat will like to gnaw on this pen while you’re drawing.